Real Madrid are reportedly ready to offer as much as €80million to beat Barcelona to the transfer of Ajax defender Matthijs de Ligt. The Dutch starlet is rated as one of the most promising young players in Europe at the moment, and surely has a great future playing for one of the world’s biggest clubs. 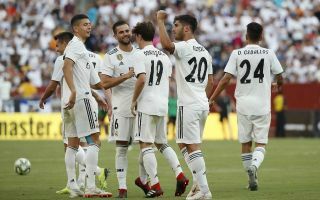 Real Madrid look determined to be the team that wins the race for his signature, with Don Balon reporting they’re looking to get in ahead of rivals Barcelona with a big-money bid, while the Catalan giants have already made a big offer themselves. If Madrid can beat Barca to this signing it could be decisive for years to come in La Liga, as De Ligt looks to have the potential to be a vital performer for whatever club signs him for the next decade or more. Los Blancos notably signed current star centre-back and club captain Sergio Ramos at a young age, and he’s contributed huge amounts and is now into his 14th season at the Bernabeu. If De Ligt can come anywhere close to that kind of service, he’ll be a crucial signing for whichever of Spain’s big two snaps him up. Don Balon’s report suggests it is very much between those two at the moment, though one imagines other big names from the Premier League might also show an interest when he does come to leaving the Amsterdam Arena.